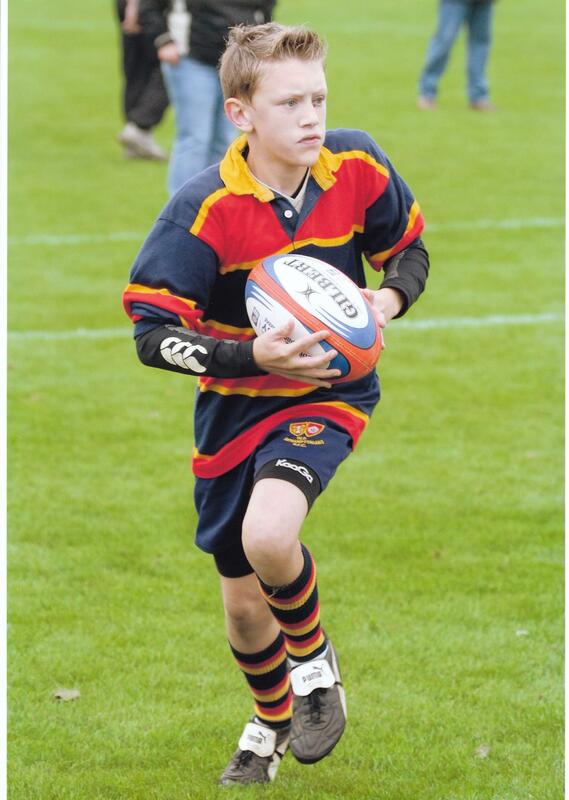 Old Northamptonians rugby player and Northampton School for Boys student, Matthew Herbert was first diagnosed with leukaemia in December 2008. After a 5-month stay in hospital and gruelling course of chemotherapy, Matt's leukaemia went in remission. Unfortunately, Matt's leukaemia has returned. This time, Matt's best chance to help him overcome the illness is a bone marrow transplant, combined with more chemotherapy. Matt is a fantastic, vivacious, talented and caring young person, who is much loved and respected by his friends at school and at his rugby club, ONs. It is crucial to find a donor whose bone marrow is a suitable match to Matt's. Shortly after attending a Recruitment Clinic I discovered I was a potential match for patient with leukaemia. I donated my stem cells through PBSC (peripheral blood stem cell donation) which involved taking excess white blood cells from my blood whilst I was attached to a machine - and watching TV and drinking coffee. It was totally painless. The Anthony Nolan Trust arranged for me to say in a hotel the night before the donation and monitored my health in detail afterwards. It was as easy as giving blood but without the queuing! Four and a half years on, the recipient is still alive because of the stem cell donation. I have experienced how being a donor volunteer is literally the first step towards giving someone the gift of life"
Leukaemia can affect any one of us and any time of life. The more potential donors the Anthony Nolan Trust has on its register, the better chance of finding a match for someone who needs a transplant. Please consider giving up a little of your time to attend one of the clinics around town. And the exciting news is that you can do this whilst watching Saints. Saturday 5th Dec at the Bath match, there will a Recruitment Clinic at Franklins Gardens in the Study Centre. Remember, it is so easy - just a small saliva sample. - willing to commit to provide bone marrow donation to any patient worldwide who is a suitable match. Please take a look at www.mattsmatch.co.uk to see up to date information on Recruitment Clinics, to see pictures of Matt with Saints players and to send a message of support to Matt. Thanks for reading this. For those who choose to respond and go the clinic Saturday, we are truly indebted. Edited 1 time(s). Last edit at 2009:11:19:19:10:27 by St Marlowe. A fabulous charity the Anthony Nolan trust. I am now however out of its target age range. I know, Tim. It's tough knowing one can't become a donor, but there's so many ways we can all help Matt. Getting family, friends, workmates to go to the Recruitment Clinics. This is not so much about money (although the clinics do cost money and we've been working hard at ONs on that front) but more about hitting that one in a whatever-it-is chance that someone out there can help Matt, or others in need of a bone marrow transplant. Watch out for hundreds of those yellow beanies on Saturday. You'll have seen them in town and in pictures in the Chron. We have to get the message out there. I saw a few wearing the yellow beanies at last week's game and wondered what they were - now I know. Like Tim, I am outside the age range now but wish them all the very best in finding a match for Matt. His story has touched many of us in the last few weeks. I am also outside the age range...I so wish that I could give. The boy and I are both outside the age range (at opposite ends). However I shall encourage, order even, the 30 healthy young people in my team at work to go and spit (or whatever) for such a good cause. Some incorrect info here, the Clinics at the Saints are being held on Saturday 5th December (Bath GP) in the Study Centre and Monday 7th December (Wanderers v Leeds) in the Captains Bar, NOT this Saturday. I'd encourage as many people as possible to do this. The more people get tested the more likely they are to find a match. I'm currently on both the Anthony Nolan register and the Blood Donors register and would be overjoyed to discover I was a match. Unfortunately (as it's happened in the past but when I was called for a 2nd test as a potential match,) I would have had a letter by now if I was a close match! Is there anything better you could possibly do for a person? I doubt it! Get tested, you know it makes sense!!! Yep, sorry, got a bit over eager. Yep good cause, I worked with a chap at Aston Martins a few years ago (if Pagnells reading this he'll know who I mean) who was a match and was flown to the States (I think) to donate to a young girl. Theres not many of us get a chance to save anothers life, well worth puting a few minutes aside for.